A conference on the challenges arising with the emergence of new payment services and digital currencies was held last week in Paris by the Autorité de Contrôle Prudentiel et de Résolution (ACPR). The goal of the conference was to clarify the regulatory body’s stance on licensing and reporting requirements faced by businesses in new payment services. ACPR, which can be translated as ‘French Prudential Supervisory Authority’, monitors the activities of banks and insurance companies in France. It is directly linked to the country’s central bank, la Banque de France, with its president being the central bank’s governor. France is famous for its risk aversion when it comes to innovation. Despite this, quite a few positive things have happened in the country around bitcoin, both in terms of business and regulations. Unfortunately, this particular conference wasn’t in line with this positive trend. Quite a few events this year have shown a positive trend in the French bitcoin sphere: the French Senate held hearings on bitcoin in January, which were followed in July by the publication of a report on the subject. The report underlined the digital currency’s risks, its “volatility, its anonymity and its lack of legal guarantee”, but also acknowledged bitcoin’s potential benefits and opportunities as a “payment system and … a decentralised validation protocol”. In terms of VAT taxation, the Ministry for the Economy and Finance announced a threshold on the margin tax of €5,000, so people can “try, invest and develop business with bitcoin” before the French government taxes it. 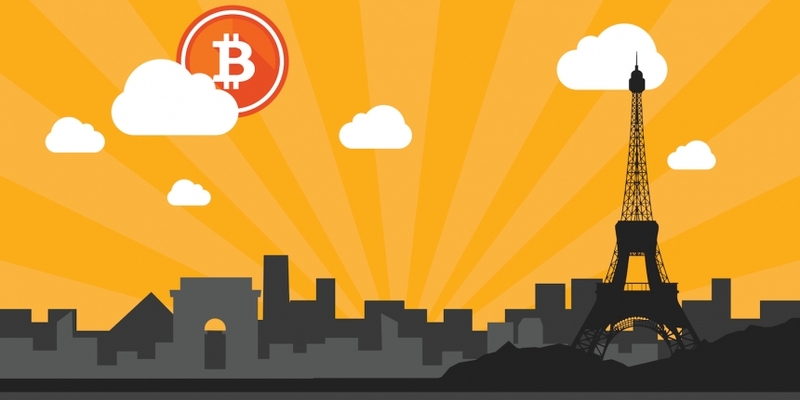 In May, the first European bitcoin center, la Maison du Bitcoin, opened its doors in Paris. Its inauguration was closely followed by a hackathon sponsored by Coinbase and Paymium – a French bitcoin company offering an exchange, wallet and merchant tools. Paymium signed its first major merchant deal in September with showroomprive.com, a major online fashion retailer, which became the largest European merchant to accept bitcoin. But a few events introduced worrisome elements that are very specific to France and its famous “principe de précaution” (precautionary principle): any new and unknown innovation is harmful until proven otherwise or made inoffensive enough by authorities. One example of this was the closure of an illegal bitcoin exchange in July. The problem doesn’t lie in the shutdown of an illegal platform potentially laundering money, but in the police report that was released following the operation. According to this report, bitcoin and digital currencies are very likely to spark criminal activity because of “the lack of transparency around their existence and their functioning” and “the absence of regulation by the actors of the monetary market”. Interestingly, these two bitcoin attributes that encourage criminal activity can be argued as a double-edged sword: bitcoin is indeed complex, but all the information required to understand it is available online, and its use as a currency is far more transparent than cash, as most transactions are available for anyone to see on its public ledger. This report was followed by last week’s ACPR conference. M. Jean-Claude Huyssen, director of licensing, authorizations and regulations, confirmed that France is following the European Banking Authority (EBA)’s recommendations issued in July. One point the EBA made clear in its report is that the regulatory body is aware it needs to develop a “substantial body of regulation,” which is going to take some time. In the meantime, its immediate response is to “discourage credit institutions, payment institutions and e-money institutions from buying, holding or selling virtual currencies”. During his speech Huyssen presented a slideshow, which mentions 70 risks associated with bitcoin, as listed by the EBA, and the mere possibility of a single benefit – lower transaction costs. While the EBA analyzed both the risks and opportunities presented by digital currencies, Huyssen focused merely on the risks. It seems reasonable for ACPR to assess bitcoin from a risk perspective, as its goal is to protect consumers and companies alike, but to be complete, this analysis needs to be balanced with the opportunities bitcoin can create: potentially new businesses and economic activities. In this regard, Huissen’s presentation lacked objectivity in its rendering of the EBA report. Added to this lack of objectivity is the non-existent communication with bitcoin industry experts who could actually offer an informed view to regulators on what bitcoin truly is at its core. Before Huyssen’s presentation, a short video of entrepreneurs building businesses in these new finance innovation domains was played. In this video, Gonzague Grandval, Paymium’s CEO, had the opportunity to ask the ACPR to clarify certain points. However, none of Gonzague’s questions were answered during the conference. The European Bank Authority has yet to issue long-term regulatory guidance, which would be a helpful next step in assessing the legal environment of bitcoin in France with more clarity.